Buying a Condo vs. Renting: Which Makes More Sense? When deciding to buy, a purchaser needs to assess the pros and cons of the purchase of a condo versus renting an apartment or condo unit. Renting does have its advantages, but there are also big advantages to purchasing a condo that consumers may have overlooked. You also may be wondering how to buy a condo, or how to buy a condo for the first time—this guide has you covered. To get a full assessment, a consumer must look at all the costs associated with buying versus renting. An article by the LA Times highlighted how the gap between buying and renting is closing quickly. 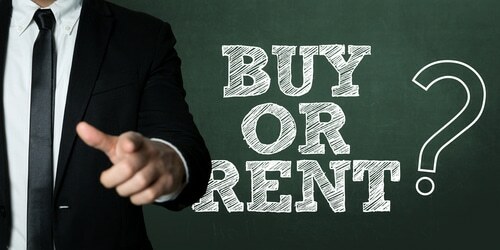 Therefore, it makes it even harder for a consumer to decide if they should buy or rent a condominium in today’s market. Interest rates are rising, but so are costs of rent. So, a person should never look only at the mortgage payment versus rental price when making the comparison. When a consumer compares their options, they should make sure they are not giving into the common myths about renting versus buying. These myths often sway people into purchasing or never purchasing, and they are easily debunked. Most people assume that buying real estate is a right of passage into becoming an adult, but it isn’t. Consumers in their late 20’s will think that they are falling behind the curve. However there is room for rest. Per Bankrate.com, the average first-time homebuyer is 32 years old, while the typical repeat buyer is 52 years old. Over the past 15 years, the average age of a first-time buyer has not fluctuated much and typically ranges from 30 to 32 years. While the housing market is on the up, that doesn’t mean that a person needs to start considering how to purchase a condo for the first time. If a person is not financially or emotionally ready for such a responsibility, then there is no reason to jump on the market. After all, the market sways back and forth just like other investments. There will be cold and hot times in the real estate market to come. Many believe that renting is the cheaper route because there is no maintenance, but they are often ignoring the fact that they are paying to rent a property that is not theirs. Therefore, they are not earning equity, have not made an investment, and have little to no say in how the property is maintained. Now that the myths have been dispelled, it is time to look at the pros and cons of purchasing. These can help a consumer better decide if purchasing or renting is better for them. Condos have gated security and other measures to protect residents compared to houses; therefore, they can make residents feel safe. Condominiums have associations, just like homeowner’s associations. Therefore, an owner may not have to do the maintenance that they think, and most of the common areas are taken care of as part of their association fee. Condominiums are cheaper than single-family homes, but also come with prime locations. A condominium purchase gains equity while renting a condominium gains no equity. There is a condominium association fee, and an association that owners must answer to when they want to make specific changes. 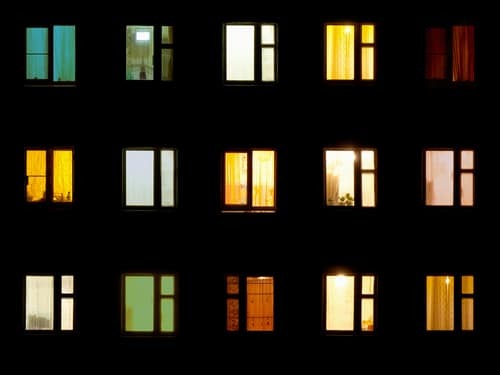 Condominiums do not have the same level of privacy as a single-family home, but there is no difference in privacy for renters or owners. Condominiums are not always easy to sell like a single-family home. Therefore, even a hot market could be difficult to move the unit. While rentals fill fast. Condominiums do not appreciate as quickly as other real estate, but this is because there is no land attached to the condominium. Bottom line, a person should ask themselves if they are ready for the responsibility of ownership. If they do not want to commit to a property, then renting could be the better option. However, they should always consider the freedoms and costs associated with either option before assuming renting or buying is cheaper.